GPRS and 3G rates are by time charges now and not kilobyte charges it's a good news for the internet Avid fans. i have my k300 installed with opera mini 2.0 browser and it can browse any webpages fast with RSS feeds and etc. before i am so screwed with browsing internet for a second and it charges me too much load... but now i even log on websites even in gsm arena using my phone. i am so greatly happy about it, so guys from any parts of my country php logging on to this site lets enjoy using k300 internet right now! do you know if you can put the phone in speaker mode, so you can talk without hanging the phone over your ears? After my sony ericsson Z600 which was very impressive I decided to take another sony ericsson K300i.It is a great phone with a lot of memory and great menu and features. this phone is really great, i mean it has many features and it is really affordable. i got my december of 2005 and i have never had any problem with it. 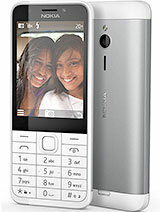 for a phone with a camera, video recorder and 12MB of storage space you cant go wrong, I will advise anyone to try it. Julie, try looking for other SE centers there if there are other or else try looking for a trusted phone shop to repair your unit. my fone was under warr so I went to SE. They opened up the fone for me, and I saw that one of the transistors had caught fungus on the pcb. But I don't think that was the problem, but that made my warr void neway, some water must've creeped in through the bottom end of the fone where the charger interface is there. Well neway told them to change the firmware, coz I don't think a damp transistor should slow down the fone, and ya they also told me that it could be a firmware prob. They're gonna take an equivalent of 10 dollars in my currency, so thought what the hell, might as well let them do it. S he do take it to SE center. i used this phone for a quite sometimes and found it really nice. but the resolution of the camera should be upgraded more. I loved this phone UNTIL the charging unit on the phone broke after very little use. My average bill is £3 per month & I bought it in mid October 2005 I returned the phone to Sony's authorised repair centre & then received a letter saying that to repair the fault would cost me £47!!!! I paid £54 for it! Looking at Kelkoo's website other customers have had the same problem but Sony will not admit there is an issue with this phone & will not budge! Should I pay up? I don't think so.I am still battling it out with the call centre managers who have said "As a gesture of goodwill they will return the phone to me - still broken - for no charge!" They might as well throw it in the bin. Can the K300i store mp3? And can u send mp3's by infrared? This phone is so cool! Beides all that great features and stuff. Its so sturdy. It fell from my pocket like 10 times now and works as if its still new! And the best part is that it has video streaming! Haha...nice move SE! the best device to use in uploading files and aplications (pictures, videos, games, softwares, mp3s etc.) is through Infrared adapter why? coz you don't need a file manager anymore i have tested this with my windows XP os and 98. to do it, you must turn on infrared and face the top part of the phone to the black window portion of the device then an (IR)icon will appear in the task bar. and just right click the file you wish to send (in desktop or folder you opened) and choose SEND TO: then ANOTHER COMPUTER and then it will work perfectly. i often send games and apps with Infrared. and infrared is a bit slower than USB coz it's wireless. cables are obviously faster than any wireless devices. I love this phone the features on this phone are so cool, I feel the only thing that missing on this phone is a radio but still at this price this is a great little camera phone. We are unable to know the numbers of letters that have been typed but at one point it will show that there is still remaining 3 space more. Can i know if there's a way to count letters in a sms on the phone? hello friends, i am unable to upload games to my mobile through USB data cable. Is it possible to upload games to k300i. In the File Manager, i dont have the Games folder. Anyone else have got the same problem. Cezar i would like to know whether is there any device(port) that could i get connected to a pc where i could upload my photos from or download music to my SE-K300i.If there is any pls let me know and how do i get it.